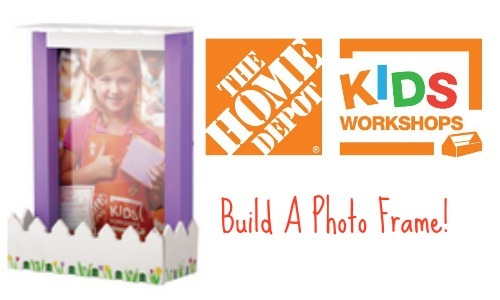 Mark your calendars for the Home Depot Kid’s workshop coming 5/2! Your kids can build a Picket Fence Photo Frame! The workshops are FREE and are loads of fun for your kids, plus it can make for a great Mother’s Day gift.